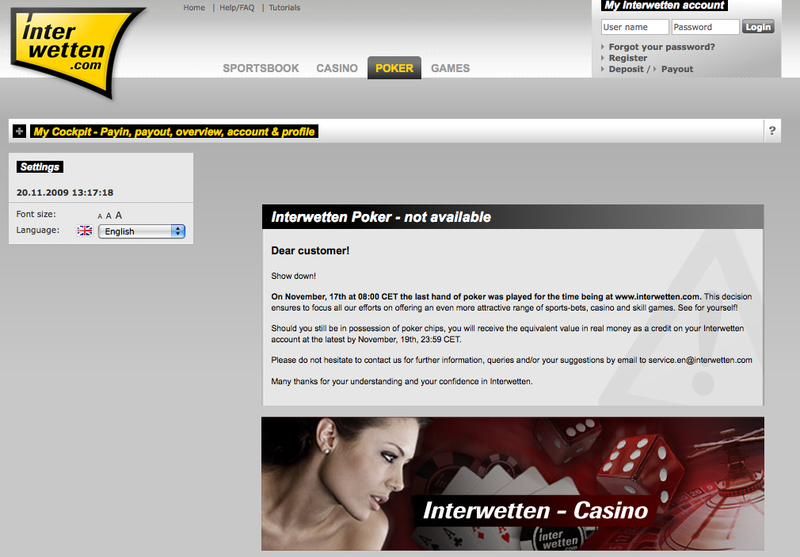 Interwetten.com shuts its Online-Poker down last week. Due to the information on the Interwetten website the main reason to pulp online poker was to ensure the concentration of all company efforts on the sportsbook product. A decision that sounds reasonable for us. All efforts to bring Interwetten back down to its roots of bookmaking are highly appreciated. Rumours say that the desion to pulp poker was mainly due to massive problems of their poker provider Ongame which they were unable to solve. Whatever was the reason, we are looking forward to what Interwetten is planning for its sportsbook product.